We’d love your help. Let us know what’s wrong with this preview of Odd Thomas by Dean Koontz. To ask other readers questions about Odd Thomas, please sign up. The books that guaranteed Koontz’s place as my favourite author. The Odd Thomas series is truly wonderful. It is filled with all of Koontz’s trademarks. The wonderful characters. The gripping storyline. The heartbreak. The wit. The philosophy. 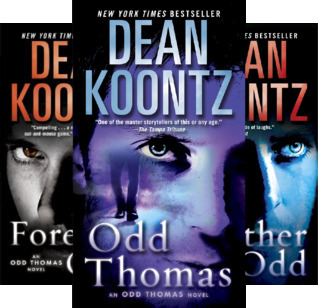 Everything you love about Koontz is brought together in this wonderful series as we follow Odd Thomas on his rather peculiar journey through life. Whether you’re a Koontz fan or simply a fan of the supernatural, I suggest you give these books a read.